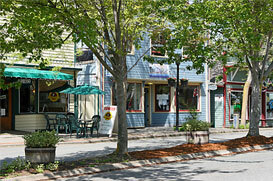 Kingston – “The Little City by the Sea” with its population of about 2,099 residents, sits on the shore of Apple Tree Cove. This close nit community is known as the social and economic center of the north end of the Peninsula and the northern gateway to the Kitsap Peninsula, Hood Canal and Olympic National Park & Forest. Once a thriving lumber town in the 1850’s and home to one of the original Mosquito Fleet landing sites. The Port of Kingston was established in 1919 and is designated as a safe harbor during storms by the U.S. Army Corps of Engineers. The port is located on Apple Tree Cove where the Carpenter Creek Estuary flows into Puget Sound and provides easy access to tribal, commercial and recreational fishing and crabbing grounds. The Port of Kingston is an all-time favorite stopping point for boaters under way to the Strait of Juan De Fuca, the San Juan Islands, the Canadian Gulf Islands, and even Alaska. If not by sea than by land, board the Washington state ferry to carry you across the sea. There are over 4 million passengers a year using the Edmonds-Kingston ferry run for commuting, business and recreation. The downtown area provides the perfect reason to stroll along the quiet waterfront or down the streets to stop at a cozy café and enjoy a latte. You can also take in a multitude of community events including the Blue Grass Festival in September. From May to October enjoy a day at the local Farmers Market or stop at the Spirit Horse Gallery that showcases artwork by Kim McElroy and her best subject – horses. No Matter what attracts you to Kingston you will be charmed by this community. The Port of Kingston is a great place to stop – For the day, weekend or for a lifetime.